I know this is a super busy time of year for everyone but just popping in with one more DT post! Wishing you all a wonderful holiday week & a very wonderful Happy New Year from all of us at Magnolia-licious! 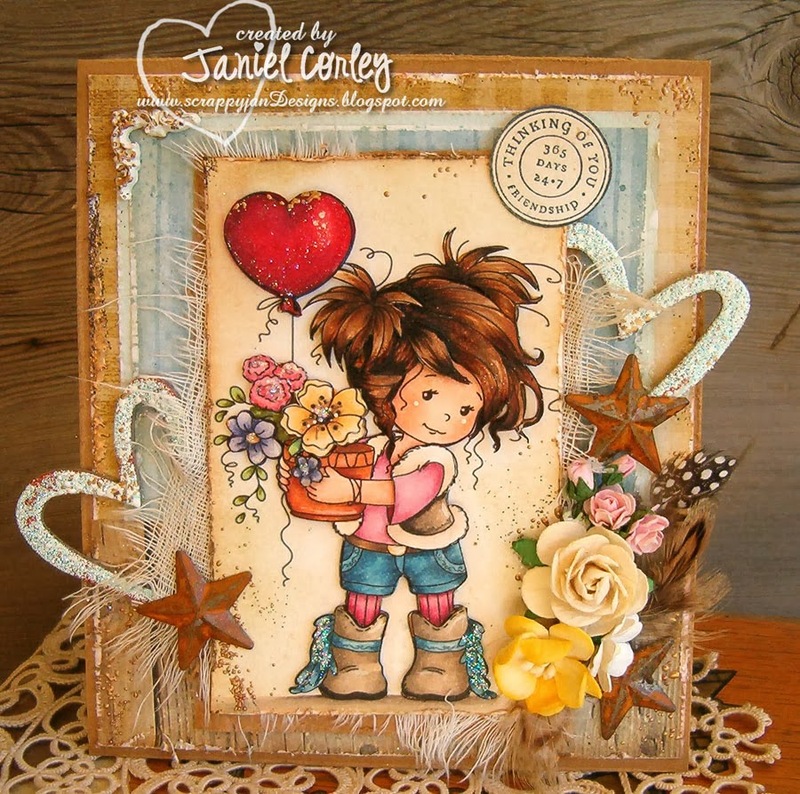 This beautiful card was made by Janiel Corley! She used a super sweet "Amy" which is a Wee Stamps image! Click HERE to see more details at Janiel's blog! Very nice creation, looks wonderfull! Wish you a Merry Christmas a happy holiday season and a wonderful new year! Enjoy peace, love, and happiness among friends and family.